Me and Nikola spent our entire Saturday afternoon last weekend at Global Art. She has been looking forward to this since I first told her about it a couple weeks ago. She kept asking me "How many sleeps 'til art class?" everyday since then. She had extremely high expectations which I worked hard to tone down to avoid disappointment in case things didn't turn out so well. I hate to see her little face in a frown but I shouldn't have worried. Our experience was far more enjoyable than anything we could have anticipated. 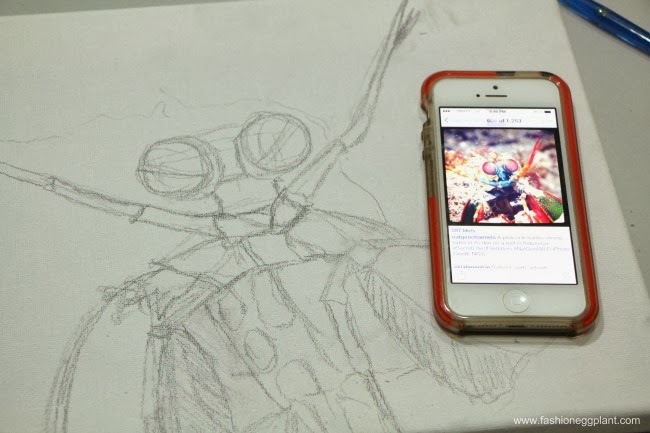 Global Art isn't your average art school where kids are given sketchpads, an image to copy and a roving teacher to instruct them once in awhile. 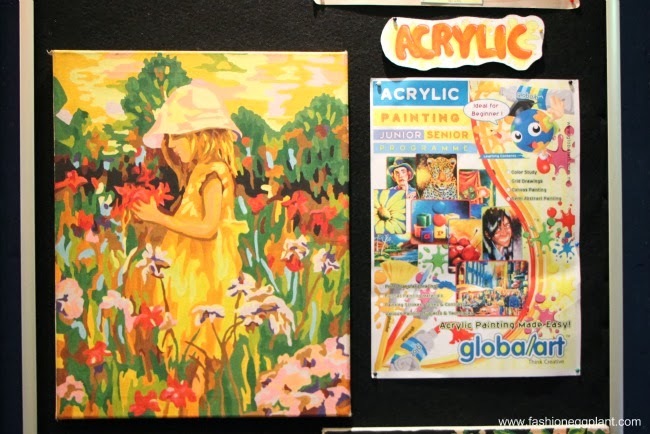 Global Art prides themselves on a unique learning system and technique. 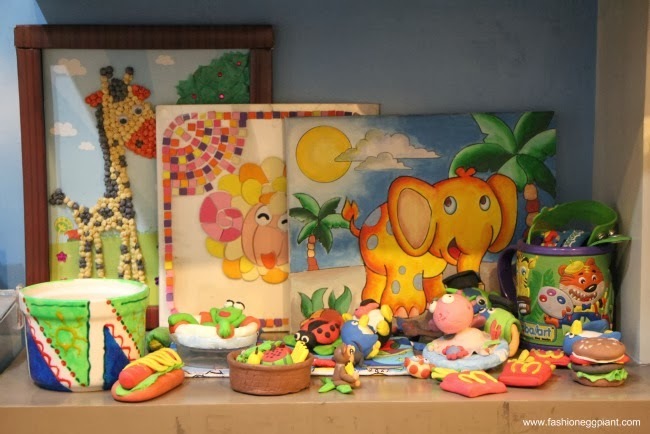 They don't just teach your children how to draw or paint, they also encourage them to develop their creativity and imagination through different workbooks that are given once you enroll your child. 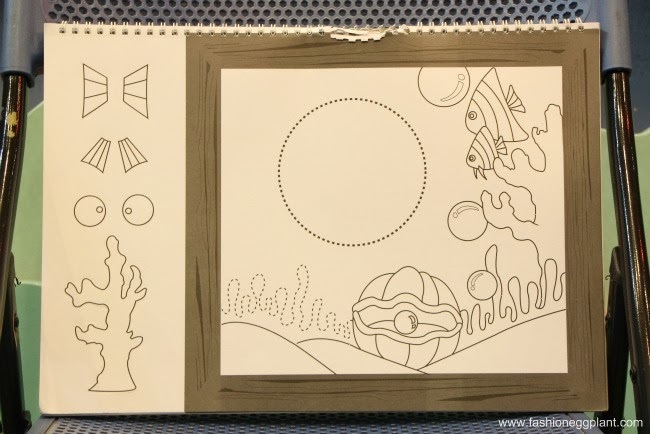 A great example is this excercise wherein a teacher will ask them to create whatever storyline and creature they would like to turn this blank image of a circle into. Wouldn't you like to see your child's own interpretation as well? Interesting right? It's also a great way to tap into their psyche and see how they're feeling inside. Foundation Level (for kids aged 4-6) - Children work with simple themes and dotted lines. 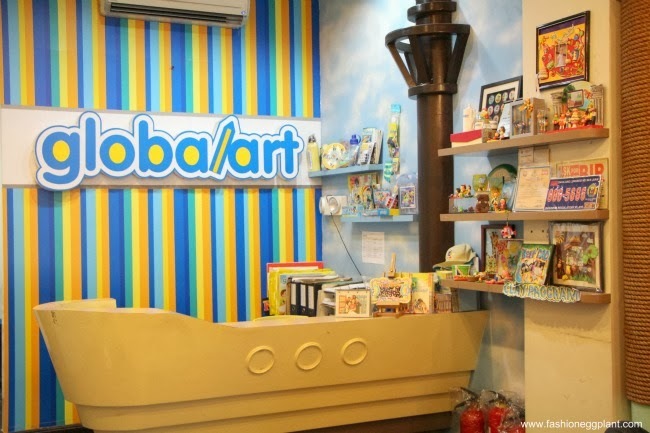 It's designed to build a child's dexterity and concept of colors and shades. 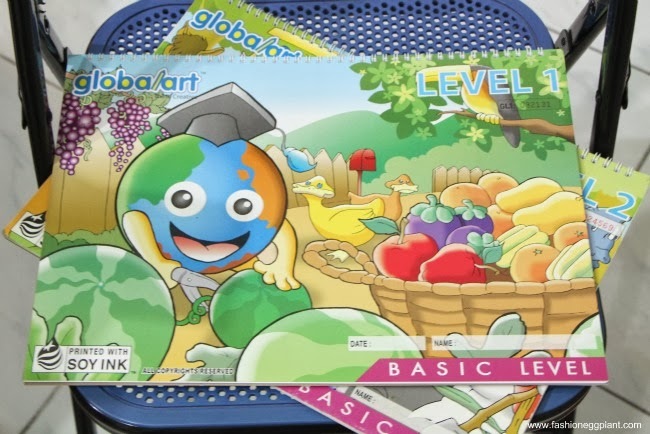 Basic Level (for kids aged 7-10) - Introduction to fruits and animals. 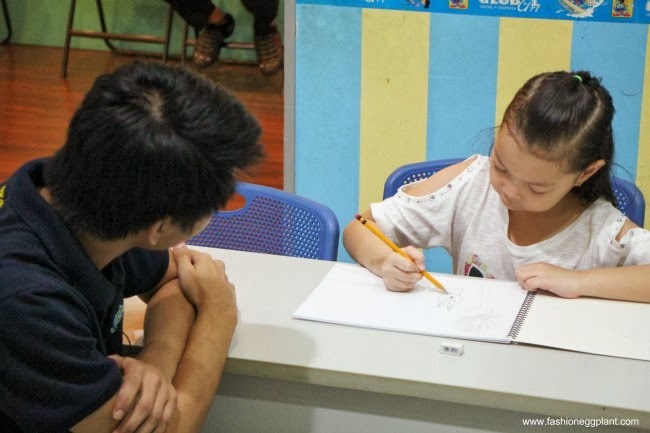 They are also encouraged to create their own illustrations while learning various techniques. Intermediate Level (for kids aged 10-12) - Students learn even more techniques by handling human figure based themes. Aside from their core programs, they also have Cartoon/Comic programs, G Clay, Glass and Acrylic painting. I haven't seen Nikola this engrossed in a single project for a long time. Her free time, which isn't much given the heavy load of assignments she takes home from school everyday, is spent watching TV or playing on her iPad. Two activities I'm not comfortable encouraging which is why I was so happy to see her enjoying herself so much in something productive. Aside from creativity and imagination, Art lessons are also great for establishing confidence and concentration in our children. It's also one of the best ways for them to de-stress from school work and focus on developing other areas of their personality. Global Art is the No.1 Children's Art Enrichment Programme in the WORLD and now you have a chance to let your child experience it for FREE! 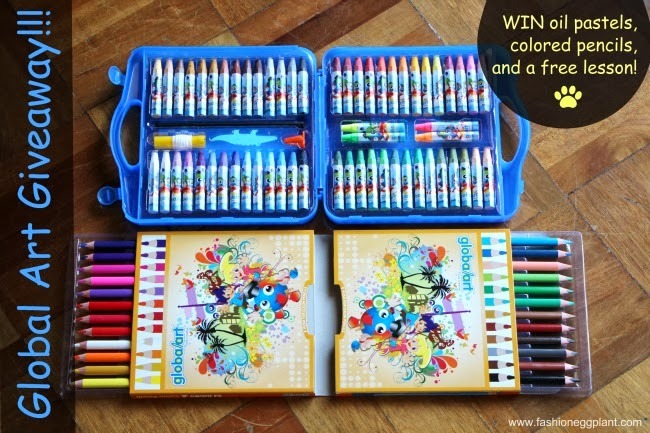 Fashion Eggplant in cooperation with Global Art Philippines is giving away 1 FREE lesson and a signature Global Art Art Materials set which consists of high quality oil pastels and colored pencils. Joining this one! Hope to score a free art lesson for my li'l boy.